Tamil superstar Ajith Kumar's new film Vivegam arrived in theatres on August 24 and has already made its way to the throne. Vivegam is recreating box office history in the South - with Rs 1.55 crore on Saturday alone, the movie has become the first one to have secured such a single-day score in Chennai, reported trade analyst Ramesh Bala. "Thala's box office rage Vivegam creates a 3rd straight single Day BO record in Chennai," tweeted Mr Bala. 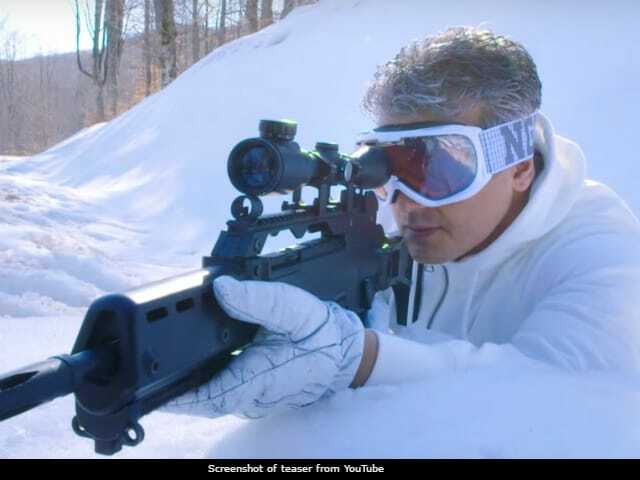 In three days, Vivegam's box office scorecard (as evaluated in Chennai) reads Rs 4.28 crore, and in doing so, the movie has become "the fastest movie to reach Rs 4 Cr in Chennai City.. In just 3 days.. A New All-time Record..," as tweeted by Mr Bala. Vivegam is also expected to have a blockbuster Sunday with house-full theatres down South. Coimbatore has also witnessed "excellent" business, raking in as much as Rs 9 crore in three days. Collections in lakhs from theatres across Kerala for Vivegam have also pushed the overall numbers higher. Vivegam is also earning a lot of love in USA and Australia simultaneously. In USA, it has surpassed the collections of this year's action-thriller Kaatru Veliyidai and the box office numbers of Ajith's 2013 movie Arrambam to become the third highest grossing Tamil film and Ajith's second highest grossing film in the country. #Vivegam with it's Aug 26th 11 PM EST Total in #USA - $410,858 overtakes #KaatruVeliyidai 's $367,012 to become 2017 's 3rd Highest Tamil..
#Vivegam with it's Aug 26th 11 PM EST Total Gross in #USA - $410,858 overtakes #Arrambam 's $377,747 to become #Thala#Ajith 's 2nd Highest! Vivegam stars Ajith as AK, a special agent of the Counter Terrorism Squad while Kajal Aggarwal plays the role of his wife. Akshara Haasan features as their daughter and Vivek Oberoi plays the antagonist. Directed by Siva Jayakumar, Vivegam marks the debut projects of Vivek and Akshara in Tamil cinema.